Eaton Golf Club was established in 1910. Today the club is run by Manager Peter Johns who has been a member of the club for the last 29 years. Peter is supported by his Assistant Angela Hollis. Eaton Golf Club is a well equipped club with excellent facilities and a first rate course. The club has a welcoming, comfortable and relaxing club house with its own bar and restaurant. Bar Steward, Steve Warren and his team do their utmost to ensure that you enjoy your drink or meal as you relax after your game. The bar also has Sky Television which is always popular, showcasing sporting events the year round. Outside there is a practice area with 3 covered driving bays, practice putting and a short game area. The club’s pro-shop is run by the experienced Mark Allen, Eaton’s Club Professional. Mark has been with the club since 1997 and brings his own wealth of expertise. The shop is extremely well stocked guaranteeing everything you could need for a fantastic game of golf. As a fully qualified PGA member, Mark offers a comprehensive teaching programme for all ages and abilities. He is supported by Assistant Professional Michael Skipper. No matter which aspect of your golfing skill needs work, Mark can help with his specialist tuition. On Saturday mornings the pair run the ‘Eaton Academy’, an hour long session for young golfers between the ages of 5-15. 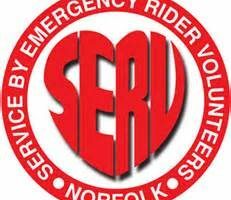 The club is located in the fairly affluent area of Norwich, on Newmarket Road. The club is slightly more exclusive than the average golf club, guaranteeing you the level of luxury that you would expect from such a quality establishment. The course itself is a haven for wildlife and the team at Eaton GC do their utmost to maintain an ecologically aware approach to all aspects of the club’s running. Adders, Deer, Green Woodpeckers and an array of beautiful butterflies can all be witnessed enjoying the attractive surroundings. In 2005 the club was awarded the English Golf Environment Award from English Nature and Sports Turf Research Institute and the English Golf Union. The grounds are taken care of by Head Greenkeeper Mick Lathrope who is one of the longest standing members of staff, having been in service there for 40 years. He oversees 5 full time greens staff who all work hard to keep the grounds in immaculate condition every day. The picturesque course can be found only 2 miles from the city centre, guaranteeing you a game of golf that is within easy access of central Norwich. Eaton GC has good disabled access, excellent parking and recently refurbished gents changing rooms. 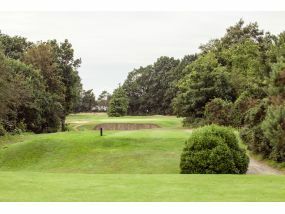 Such is the focus on consistent quality at the club, that upon visiting Eaton GC for the first time, many golfers have described it as a ‘hidden gem’. The Club celebrated its Centenary in 2010 and the team at Eaton Golf Club are delighted of the ongoing success and commitment to quality. 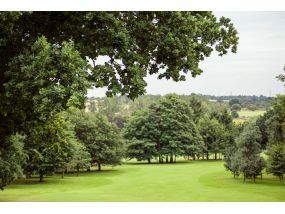 Eaton Golf Club is often referred to as the Friendly Members’ Club, why not come and see for yourself?